In 2016-2017, midwives supported 42,248 births in Canada. 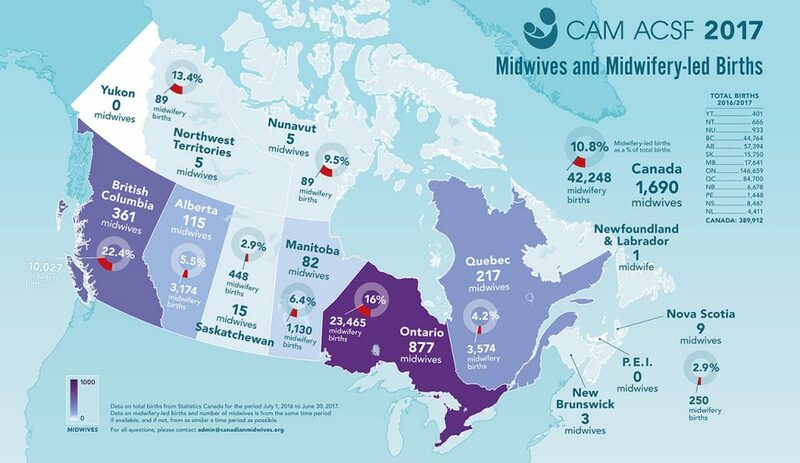 There are over 1,690 midwives in Canada. 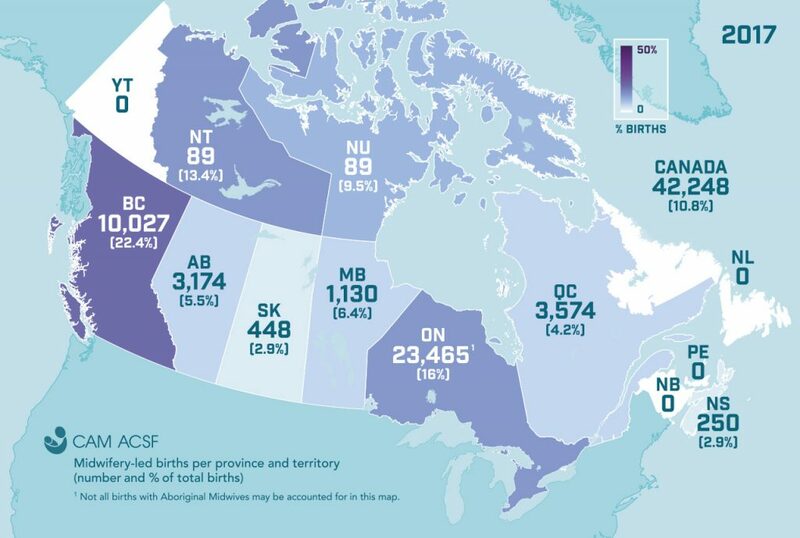 Midwives supported 10.8% of births in Canada in 2016-2017. 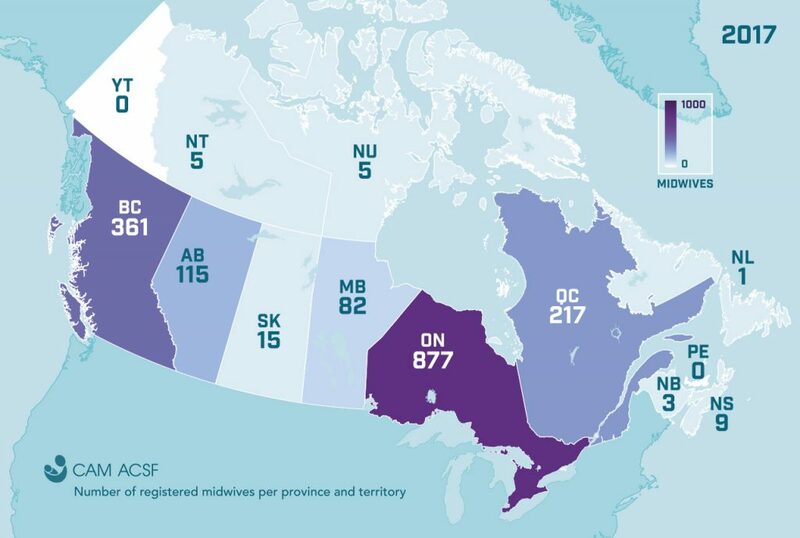 Midwifery is regulated and funded in almost all provinces and territories in Canada.